This article addresses Indigenous Australian claims to water resources and how they inform and relate to current Australian law and contemporary legal thinking about future possibilities. 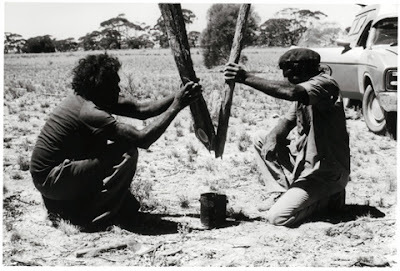 It adopts a multidisciplinary approach, drawing from historical records, previous ethnographic investigation with Indigenous Australians, current legal scholarship, and social anthropological theory. In doing so, it analyses Indigenous dependencies on water, the history of settler colonial orientations to water bodies, the evolution of settler colonial–Indigenous relations to natural resources, and the development of the Australian legal system’s regulation of water. This provides foundations for a discussion of the limitations of settler colonial notions of property and the failure of settler colonial law to understand and incorporate the dynamism of Indigenous relationships to water, particularly the meaning and productive capacity of water flows within Indigenous cosmologies and sociocultural and ecological systems. Calling for a decolonial turn in legal approaches to Indigenous access and water resource determination, the authors explore the ways in which Australian law may need to ‘unthink’ settler colonial notions of resource ownership as a prerequisite for reformulating future water policy and planning. This reformulation relies on a more extensive legal philosophical engagement with the concept of ‘flow’, a concept that already exists in both water law and planning, but which has not been adequately theorised and enacted. A more comprehensive legal understanding of flow in the context of Indigenous understandings of, and claims to, water provides more sustainable and equitable legal and analytical foundations for managing future water resources issues. The article creates the space for a more culturally relevant notion of ‘Indigenous water rights’ and for new ways of honouring the interrelationship between water flows, meaning-making practices, and cultural continuity.